From more powerful attacks to higher block points at the net, you will reach new levels of performance on the court with Complete Conditioning for Volleyball. In this one-of-a-kind video-enhanced resource, University of Illinois volleyball and strength and conditioning coach Steve Oldenburg provides you with access to the elite-level training that has helped the Fighting Illini become one of the most powerful Division I programs in the country. 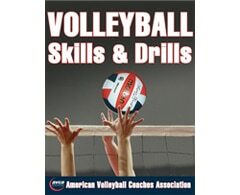 In Complete Conditioning for Volleyball, you’ll learn to evaluate your current conditioning level and use those results to construct an individualized training program that emphasizes the development of your weakest areas. 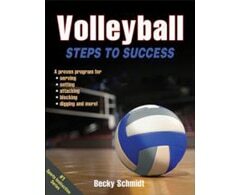 Armed with 184 exercises, you’ll be able to improve every aspect of your game to become an improved all-around player. Complete ready-to-use programs are included for immediate implementation for preseason, in-season, and off-season training. With the accompanying video-on-demand content, you’ll have access to enhanced demonstration of 42 exercises and both on-court and off-court drills. 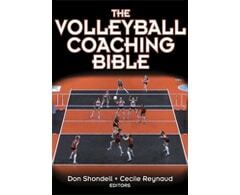 Before you hit the court for your next match, add a copy of Complete Conditioning for Volleyball to your locker so you can become a dominant player on both ends of the court and lead your team to victory! 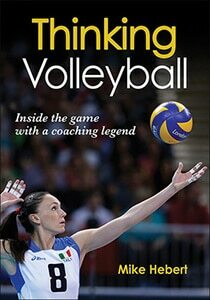 Thinking Volleyball – Mike Hebert.